Sign Up For Magical Deals! Order within 12 hours 19 minutes and it Ships Today! • Buy any 5 Products for $38.98. • Hair Dyes, Beard Dyes, or Treatments. • FREE Priority Mail (2-3 Day) Shipping. FIVE Great Products. One Low Price. PLUS! FIVE Cap & Glove Sets—Everything Included. 1) Pick any 5 products from drop-downs below. Add-on our Zen Garden Bulk Conditioner? Save 15% OFF with this bundle! Henna and Ayurvedic Herbs only. Can I use henna hair dye on gray hair? Yes. Henna works very well on gray hair. Most people get complete coverage in their initial application. If matching up roots, you may have to dye them first, wait set time, rinse, and then dye the whole head one more time to blend. At times, gray hair can be a little stubborn: the hair shaft, under deeper inspection, is actually clear—void of color, nearly translucent; and gray hair may have a different texture than the rest of your hair. So the initial application may color a shade or two lighter. Just stay consistent with your regular application cycles—improves (hair color & health) with use. If super stubborn, unusual but can happen, give it one full month: four weekly applications to tackle that stubborn gray. It’s all natural—will not damage, will actually improve in shine, bounce, and body. The color builds on the previous treatment; it will get richer and more depth with 3 to 4 applications. You can do it! Can I lighten my hair with henna or the henna-herbal products? No. Henna-based products will not lighten hair—zero harsh bleaching chemicals. The pigments will keep the hair its existing color or color darker (depending on color used). Some of the red shades (Pure Henna, Wine Red, Mahogany) may express on dark hair (dark brown to black), but expect the result to be subtle. Some customers with dark hair (dark brown to black) like the subtle reddish halo that Pure Henna and Wine Red can kiss to their dark hair. And it generally will slightly improve over a few applications, although still subtle. Can I use henna on chemically colored hair? Yes. Absolutely. As long as you’re using all natural henna and henna-herbal products, you won’t have any problems. Problems can occur when nasty additives are placed into a poor quality henna powder (Metallic Salts) and they may react with the chemicals in the synthetic dyes (Ammonia). Brittle hair and unpredictable brassy colors may result if using poor-quality henna. That’s why it is so important to do your homework, research, and purchase safe, all natural products. Hunt for a reputable company, and buy the best. You’re 100% Safe Here: We use ONLY the finest, top-quality Henna & Natural Herbs. Note: if you have very damaged hair from chemical dyeing or use large amounts of relaxer, your best option is to wait one month before using ANY hair products. And always test with harvested hair from a brush before initial application. Simply mix a little henna paste(Tbsp): Apply. Wait. Rinse. Review. If all good, proceed and enjoy. Can I mix the colors to create my own? Yes, you can mix all the colors. 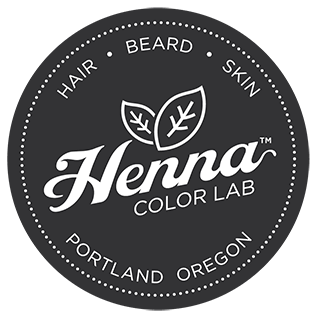 We designed the HCL™ Henna-Herbal Spectrum Series™ to match the most popular colors (colors that really express the rich Henna & Herb combo). But everyone wants a choice!—so go ahead and make a unique personal color. Tip: It’s always best to stay within the same color family. Add a Tbsp of Pure Henna to warm up a color, or add a Tbsp of Pure Indigo to darken by a shade or two and so on—create what you want. And please note: these are pigments that do dye your hair. Your personal color combination may have unpredictable results. Especially on heavily damaged hair. Be smart and have fun! Is henna hair dye permanent? Yes, our dyes are permanent. Once applied, rinsed, and matured(48 hrs), that will be your hair color until it grows out, or is cut off. *Please Note: initial uptake of the natural colors may take two to three applications. And color will fade from the hair under certain stress, similar to traditional chemical hair dyes. For example: chlorine bleach, extreme sun exposure, regular shampooing(retail brand shampoo), intense heat(blow-drying) all slowly strip the pigment from the hair. The hair itself actually gets damaged under these conditions: natural sheen oils burn off, proteins weaken or are destroyed, and the henna pigments are exposed and release early and/or fade. The more you color with henna-based dyes, the deeper and stronger the colors will fuse…and harder to strip-out. A good secret to keep color is a non-sulfate, all natural shampoo (one with natural surfactants like coconut oil or olive oil)—cleans away the funk, but leaves the natural pH balance, preserving natural protective sheen oil content and vital nutrients. Is the application process much different than chemical hair dyes? Not really. If you’ve dyed your own hair before at home then this will be very familiar to you. Just read through the included application instructions thoroughly, or review on the website. The Consistency, Scent, and Rinse-out will be the three key differences. (1)Consistency: it will be thicker than your traditional chemical dye (ketchup/pudding consistency). (2)Scent: instead of reeking of noxious chemicals, it will smell like plants and herbs (strong & earthly while mixing, fades as you apply). You can add fragrance essential oil to the mix if desired; we keep it pure since many people have allergies to synthetic perfumes and they’re usually toxic poisons too—yuck. (3)Rinse-Out: our henna based dyes are powders. After mixing with water, they apply as a pudding-like paste. As it dries it will thicken (best consistency to administer all pigment & treatment qualities). So when you rinse, it will take a little longer than the chemical dyes. Use conditioner to make the process easier; just condition twice as you rinse-out. Other than that, it’s very similar—minus all the chemicals & synthetic nasties. How do I mix henna and henna-herbal hair dyes? Use quart size mixing bowl per 3.5oz packet(100g) and a spoon to mix. Cover any surfaces that may stain: untreated wood, carpet, fabric, etc. One packet colors straight, shoulder length hair (approximate). Thick and curly hair can require 25-50% more. Pour henna powder into bowl. Add hot, not boiling, water (approx 122º F) gradually to the powder. Note: There’s no exact amount of water to add, just add little at a time to get to applicable paste consistency. Similar to thick pudding or cake batter consistency. Get the Full Henna Hair Dye Application Page HERE. Is this product really safe to leave on my face? Quick answer—Yep! Gentle, safe, and all natural. Super-sensitive skin? The best practice is to spot test prior to application—no matter how pure the ingredients. Apply a small amount behind the ear or neck with a cotton swab. Wait 10 minutes. Observe results. Reactions to henna dyes are very rare. If no adverse reaction, proceed with full application. And have confidence, it will actually nourish and mildly exfoliate the skin while it colors the whiskers—it only contains our proprietary Henna/Indigo/Herbal fusion. You’re in good hands. Do you have a recommended routine for applying the beard dye? We appreciate gents that like it simple & direct. Below is a recommended program to keep your beardy-face proper. Many guys perform a “Thursday Night Ritual” (keeps you Weekend-Ready). come home from work Thursday evening. mix up a quick batch of HCL™ beard dye after eating dinner. apply to beard, goatee, or mustache (and/or hair). shower before bed (NO soap on face, just warm water). wake up Friday morning and resume normal washing routine. You’re now Weekend-Ready & all set for a full week of Beardy-Awesomeness! What’s the most common application mistake with your beard dyes? Coverage. You have to cover all the whiskers for the full application term. If it’s not covered, it will not get color…it’s that simple. So, take your time, and apply to all the tricky spots. Use a combo of your gloved hand and a fine-toothed comb. If in doubt, apply more product. *Super stubborn gray whiskers? Consider two back-back applications initially (Two 30 min treatments each). Will the ‘earthy scent’ of the product remain on my face after I wash? No, most will be gone with your initial rinse. And then any trace will wash off easily when you shower (or wash face with soap). Will my aftershave cause any problems with my results? No, you should be fine. An organic, natural product is always recommended to maximize and maintain best color expression. And be sure to wait at least 24 hours before applying directly to dyed whiskers. Quick Note: most aftershave products do contain alcohol. And it can be a little drying to the whiskers (dry, brittle whiskers won’t hold color as well). So try to avoid heavy splashing on your beardy-parts. Will the beard dye rub off? No, after you apply the dye, wait set time, and then rinse, it’s locked in. Allow 8+ hours(overnight) to mature the color, and THEN wash face as usual. You can kiss, eat, and rub all you want without worry. How long will my beard color last? This depends on a few factors; average beard color duration is about 10-14 days. 1. Whisker quality (coarse or soft) and overall health (protein content in whiskers). 2. How well you clean the whiskers prior to application. 3. How long you leave the product on your whiskers (min 60 min first application). 4. Rate that your facial hair grows (super fast growth may require weekly touch-ups). 5. Frequency of face washing & products used (less washing and mild detergents increase duration). The Best Practice: Make it a routine. A weekly application. 60 min for initial; then 30 min for touchups. Be the first to find out about magical deals and blow out sales. We only send stuff of value. Emails are infrequent yet awesome. That’s just how we ride. Log in to check order status, or speed up checkout. Create an account & speed up your future purchases!